We are trying to be prepared. At the beginning of the year we started brainstorming and researching what should be included in a home emergency kit. Liza posted on our firebox yesterday and today we share our home emergency kit. Living in New England, there is a good chance the power will go out in the winter time. We wanted to be sure we were prepared for when this happens. 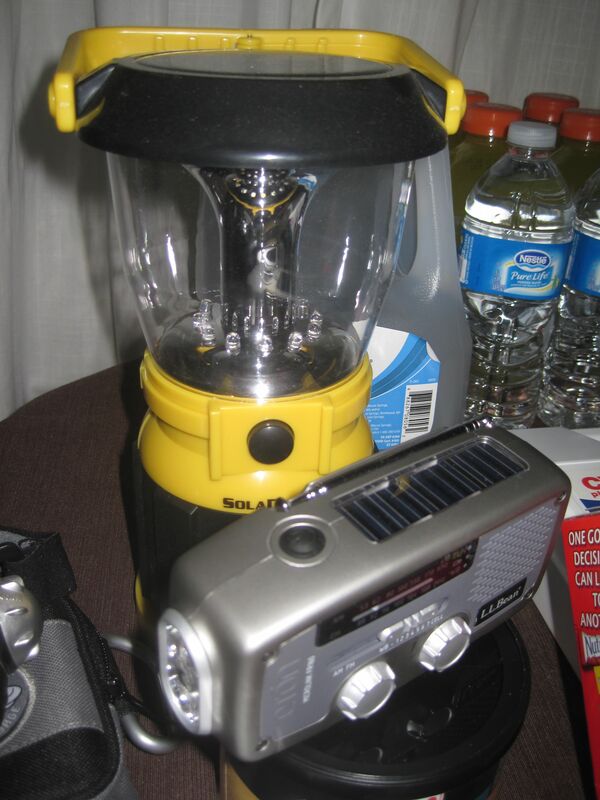 We purchased a crank lantern and combo flashlight/radio from L.L. Bean and have already put them to good use. We then wanted to be sure we had first aid supplies in case there was an accident. 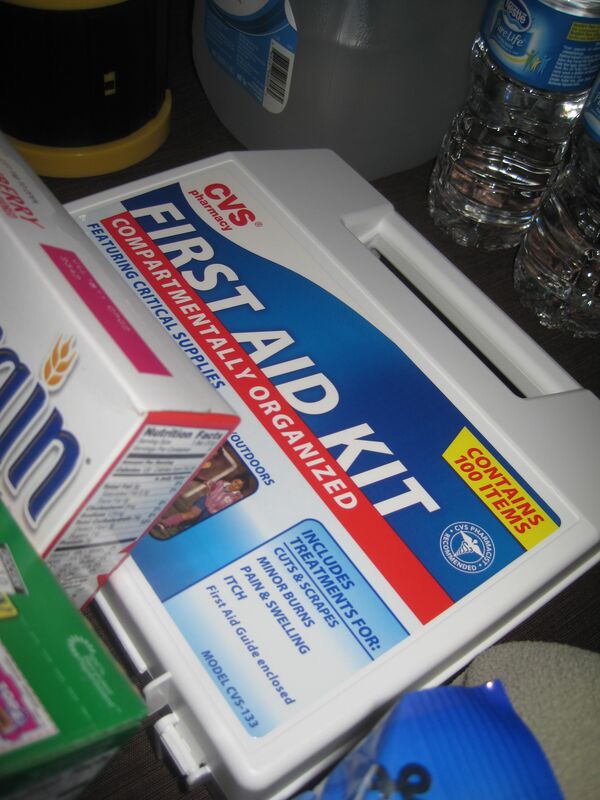 We picked up this first aid kit at CVS. We made sure to include a variety of non perishable items ranging from meats to grains to fruits and vegetables. 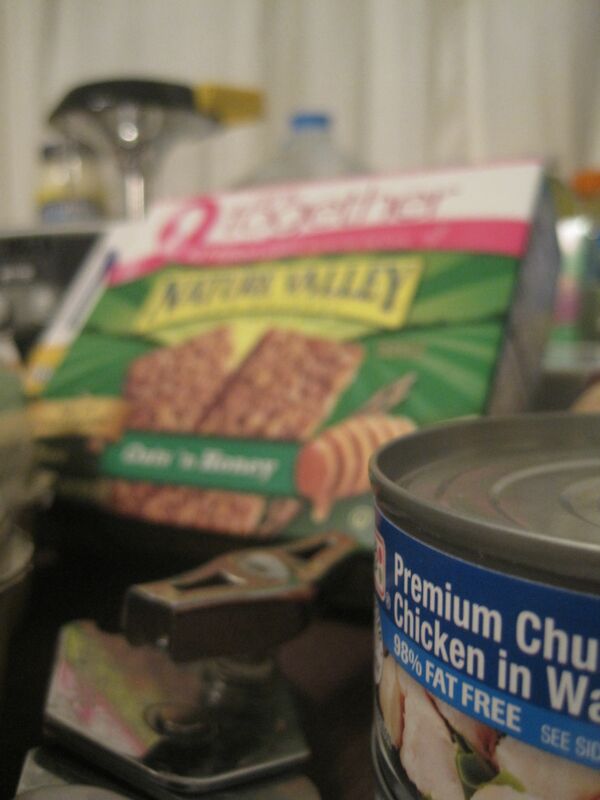 And of course we remembered to include a can opener. We then packed everything into a bin so that it is ready when we need it. 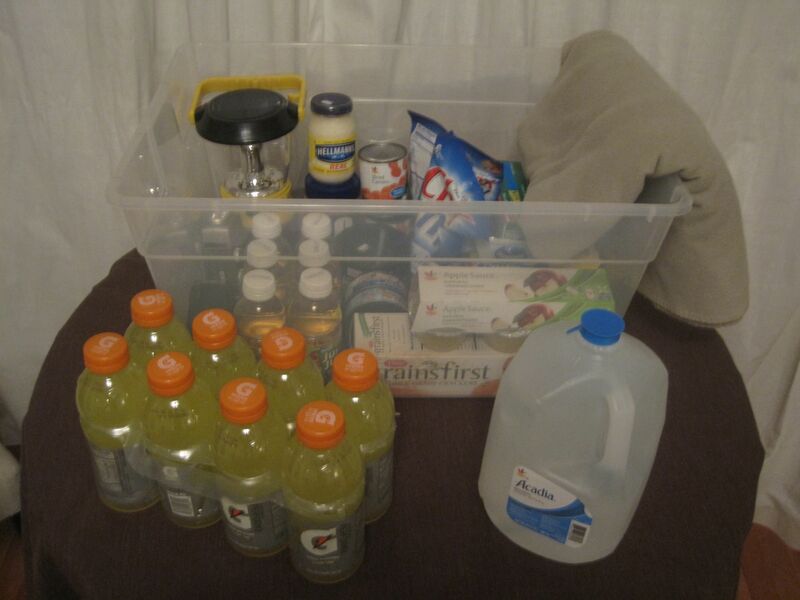 We have extra water and gatorade in the basement along with blankets and various foods and necessities. And for winter time we are well stocked with wood for the fireplace to keep us warm. That is our emergency bin. We are continuing to keep our eyes open for other things that would be helpful, the whole house generator would be nice, but that will have to wait for the time being. What about you, what are essential items you would want for an emergency?